I said there’d be another giveaway, right? There’ll be an actual review for this on Wednesday, but I move tomorrow and still have a bunch to do, so once again, YOU WIN! This book absolutely blew my mind and I want to share it with you all, so I am giving away my advance copy. 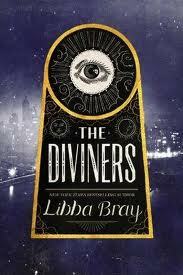 Seriously, you want this book; Libba Bray is an absolute genius, and despite the length and the incredible humor, you’re held in thoroughly creepy suspense the entire time. Part of that creep factor comes from the book trailer. Well, you may or may not want to read this book in bed, and if you do, keep a nightlight handy. And all you have to do to enter the giveaway is watch the trailer and tell me below what you think.